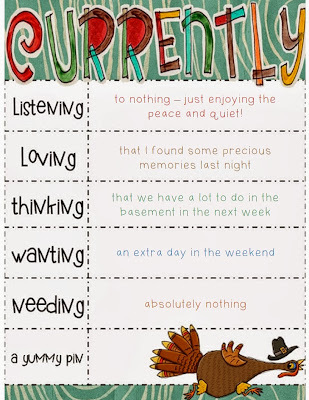 Mrs. Hankinson's Class: November ... already?! CaNnOt believe that is it already November! 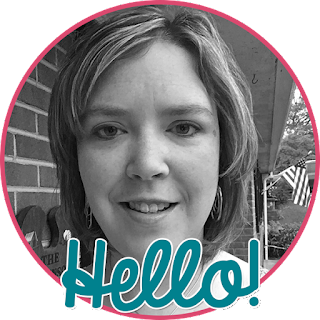 Today I am linking up with Farley at Oh' Boy 4th Grade for my November Currently. at the end of July we were having our basement resealed because of a lot of flooding every time it rained .. this meant the construction over took our front yard for what we thought would be a week to ten days, but because of problems they encountered, it lasted ten weeks and during that time a water line burst and our finished basement flooded - with about six inches of water everywhere. 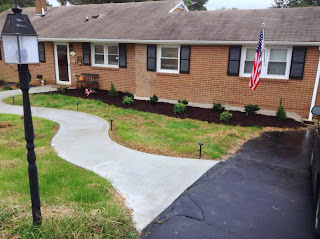 We now have the front yard finished (grass planted and it is growing, new sidewalk poured, & new bushes and tree planted and mulched) and are working on the inside where we lost flooring and furniture. The carpet has been purchased and will be put in hopefully next week and today we are ordering the laminate flooring for the kitchenette and hallway. My mom kept a box of special things when I was growing up and when the basement flooded, I thought that box was destroyed. Last night I found some of the things, including my baby book and birthday cards from family - my great-grandmother who died in 1988 and my grandparents - I have just one grandma still living. Finding these just touched my heart last night. Wanting - wouldn't it be nice to have an extra day each weekend?! I have made these several times and they disappear ﻿almost immediately. These are my favorite cookie bars ... ever. Hello. 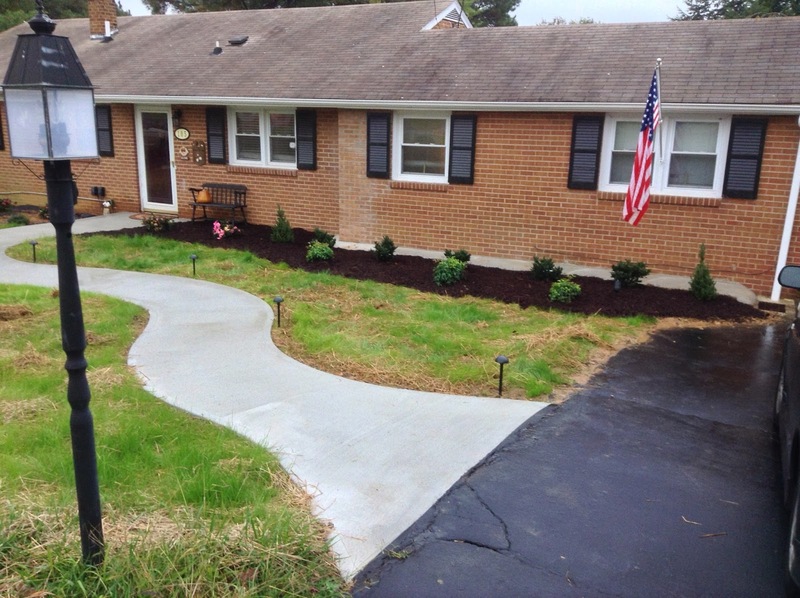 Your front yard is looking good! I would LOVE 3 day weekend! I think I would be a more relaxed person with an extra day:) enjoy the rest of your weekend. An extra day in the weekend sounds good to me too, and so do those cookie bars!!! I gotta go pinned that NOW! It sure is fun to check out other blogs because of Currently. I am looking forward to checking out your ideas.